One of the main reasons I took this job is because I wanted to play an active role in public education. As stated in my introduction blog, in the future I hope to work for a non-profit organization that does similar work to Save the Harbor/Save the Bay but regarding mental health and mental health awareness. I want to provide programs that educate and provide resources to the public about mental health. Save the Harbor/Save the Bay does very similar work, just with the harbor. 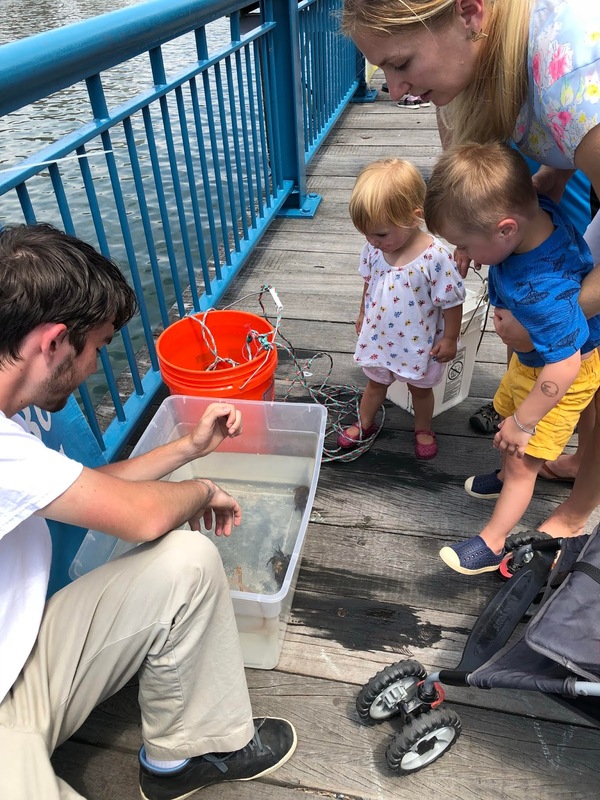 I like being able to play an active role in connecting young minds with the harbor, a body of water that has been around long before them and will exist long after them, as well. So far, this summer has proven very rewarding. One thing I love and appreciate about the Boston Children's Museum site is that the kids who come to visit us have a genuine interest in fishing or looking at the creatures, most often crabs, in our touch tank. Our site is operated right outside of the museum doors so kids can come by whenever they want! We get kids who want to visit us before they go into the museum, during the middle of their visit at the museum, or after their visit. 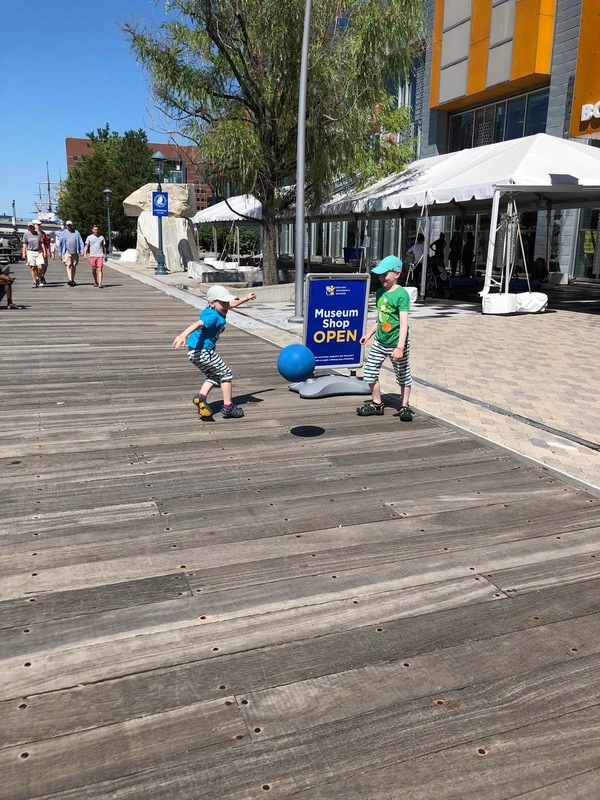 Additionally, our central location on the channel allows us to attract a lot of other kids who are passing by on their way to other programs or locations, such as the Boston Tea Party Museum. A ton of the kids we get live somewhere in the Massachusetts area; however, the other day we got a family of three that were visiting Boston all the way from Germany. The mother spoke English, but the two boys (approximately 4 years old and 7 years old) did not. 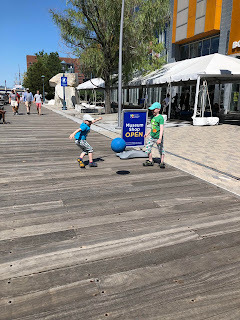 I saw the eldest boy was looking at the ball I was bouncing while the younger boy was looking at the touch tank. Soon enough, we were all playing with the ball. I found it a particularly fun moment because we did not need to know the same language to have fun and play games. Every once in a while they would run to the touch tank when something caught their eye and then come back and play. Earlier this week we also had a young boy had had down syndrome. His mom was watching him closely, but even then he managed to run away (mind you, she had two other boys to look after) to the touch tank or a fishing pole several times. At one point, he saw his other brother fishing and wanted to do the same. He also wanted to touch all the crabs! He was very curious, and it made me so happy to see him so happy. He even had to be pulled away by his mother because they had to go and he wanted to stay. Something else I love about the site at the Boston Children's Museum is the wide age range that comes to see us. We get kids as old has 15 and as young as two years old. 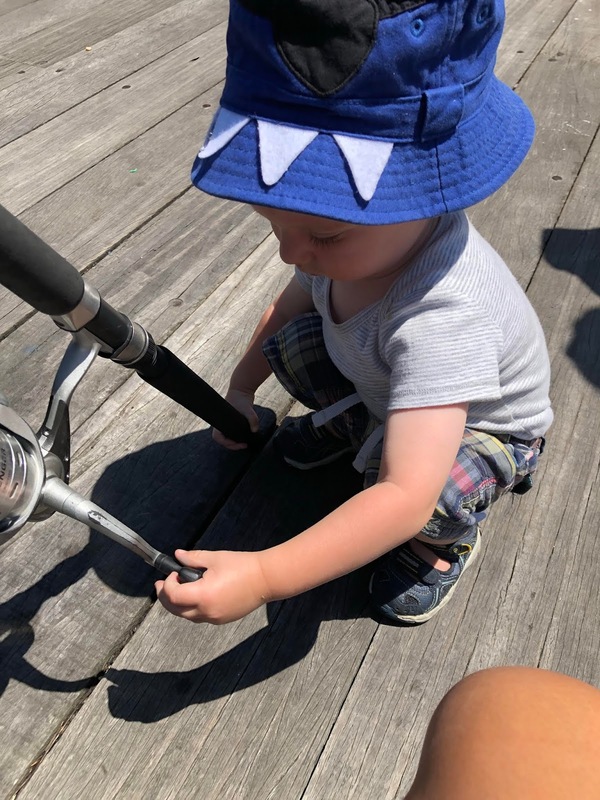 We had a sweet two years old come with his older brother and mother this week, and he was so curious about fishing! He was not really interested in the touch tank. Instead, he kept walking up to fishing poles. He would stand next to them until his mom said it was okay and I helped him old the rod, drop the line, and reel it back in. He was absolutely fascinated by it! Watch out, everyone. This kid is gonna be a big time fisherman when he grows up! I have loved my time at the Boston Children's Museum so far and cannot wait to see what the rest of the summer has in store.